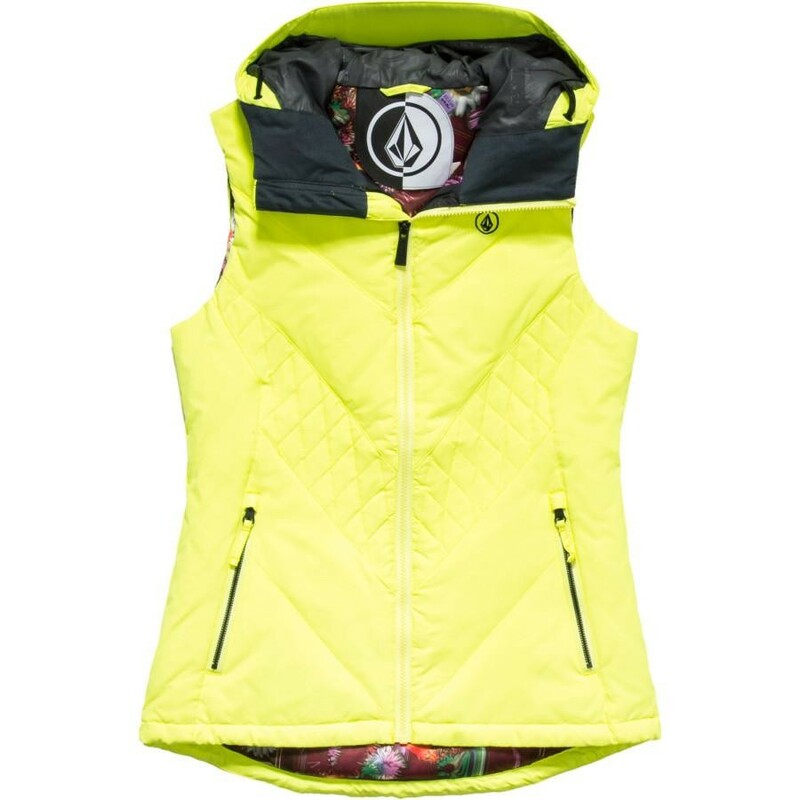 Throw on the Volcom Women's Revy Puff Down Vest when you'd like a little cushy warmth and street-friendly style around your core. 400-fill down insulation provides a layer of warmth while Volcom's breathable V-Science fabric keeps you comfortable. If snow starts falling or an icy breeze is blowing, you can cinch the hood down with two front pull tabs and pull in the hem with a pull cord accessed through the pocket. The soft suede chin guard protects your chin, and you can use the brushed tricot lined handwarmer pockets to keep your paws warm.